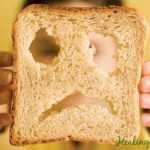 In another Healing Gourmet article, you learned how to starve the candida in your gut by depriving them of their favorite foods. That’s part of the battle. But there’s more you can do to eliminate this health-sapping parasite: Feed it fungus-fighting foods! Garlic: Garlic is one of the most potent anti-fungal foods thanks to a phytonutrient called allicin. Be sure to enjoy garlic fresh– allicin is destroyed by cooking. Cruciferous Vegetables: The family of crucifers—including broccoli, Brussels sprouts, arugula, watercress, cabbage and others—contain potent fungus-fighting phytonutrients. But that’s not all. They’re also practically devoid of carbohydrate, and provide fiber to act as a prebiotic for “reflorestation” of your good gut bacteria. Oregano & Other Herbs: Culinary herbs don’t just offer flavor, but also antioxidants and anti-fungal phytonutrients. Oregano seems to be of special importance containing two antimicrobial agents called carvacrol and thymol that fight Candida and other pathogens. Liberally add organic herbs to your food and consider an oregano supplement, like Oreganol. Cloves contain powerful phytonutrients that ward off Candida. To get the most fungus-fighting benefit, stir ground cloves, cinnamon and cayenne into hot tea. Cloves: Cloves contain a powerful anti-fungal agent called eugenol that has been found to kill Candida and other yeasts. This pungent spice also ranks #1 in antioxidants. Try organic spice teas containing cloves like Yogi Detox Tea. Cayenne Pepper: Contains a compound called CAY-1 that attaches to fungal membranes, where it causes cell components to leak, eventually killing the cell. Cayenne also boosts circulations and promotes cleansing. Add a dash of cayenne to a warm cup of water with lemon juice and drink between meals. Insoluble Fiber: Ensuring you get sufficient insoluble fiber in your diet will help speed the elimination of toxins (including the yeast that are dying off) from your colon. Stagnant waste material is a breeding ground for Candida and other gut-harmers. Tea: True teas, like white tea, green tea, black tea and oolong tea, contain tannins which are powerful anti-fungal agents. But tea is also high in fluoride. For this reason, we recommend using a tea tincture like that from Body Ecology or herbal teas containing the fungus-fighting spices like cloves and cinnamon . Cinnamon: This spice is a powerful anti-inflammatory, anti-fungal and anti-microbial agent. In laboratory tests, growth of yeasts that were resistant to the commonly used anti-fungal medication fluconazole was often stopped by cinnamon extracts. Cinnamon is also packed with antioxidants, ranking #2 of all of the foods tested. Raw Cultured Dairy: While dairy should initially be avoided, raw, cultured organic dairy products like kefir, plain yogurt and buttermilk may be beneficial. That’s because they contain probiotics and enzymes not found in pasteurized dairy, plus healthy fats that promote gastrointestinal healing. Ask your doctor about food allergy and intolerance testing (like ALCAT or ALATESS) to rule out dairy allergy or intolerance that can contribute to Candida. Real lacto-fermented sauerkraut is rich in beneficial probiotics and vitamin C.
“Real” Fermented Veggies: Most fermented veggies—like sauerkraut, pickles, horseradish, etc.—use vinegar (a yeast promoter) and are heat-processed. But “real” fermented veggies are made simply by adding salt and are “magically” inoculated with atmospheric bacteria. This is called lacto-fermentation. The process produces probiotics like Lactobacillus plantarum, which crowd out Candida and help to restore balance. Buy fresh-fermented foods from your local farm or try Bubbies Sauerkraut. Enjoying healthy fat is a cornerstone of good health. There are several types of healthy fat that have been found to specifically support a healthy digestive system – omega-3s, saturated fats and omega-9s. Omega-3s: These essential fats make up cell membranes, and as such, support the integrity of the intestinal wall. They also aid in flora balance. Boost your omega-3’s by enjoying sardines, mackerel and wild salmon and taking a fish oil supplement like Carlson’s Fish Oil. 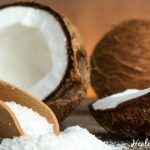 Virgin coconut oil is a powerful Candida fighter thanks to three anti-fungal compounds. Raw, Grass-Fed Butter is known to be highest in butyric acid—the primary energy source for the gut that helps to reduce inflammation. Grass-fed butter also contains lauric acid—a potent antimicrobial and antifungal substance. Raw Organic Coconut oil contains three potent fungus-fighting compounds: lauric acid, caprylic acid and capric acid. Omega-9s: Found in olive oil, flax oil, borage oil, and evening primrose oil, these fats help boost immunity and prevent Candida from becoming systemically invasive. Olive oil and avocado oil are of special importance due to anti-fungal compounds called phenols. “Clean” Proteins: In times of illness or repair, the body requires more protein. Be sure you are choosing clean protein sources to rebuild your cells and guard against hidden fungal-promoters. Opt for wild-caught fish, grass-fed beef, pastured eggs, poultry and pork. Also be sure your meat is additive and preservative-free. Pure, Contaminant-Free Water: Keeping well hydrated with pure water that’s free of chemicals is essential to flush the tract and maintain regularity. Aim for 8-8 ounce glasses a day and add lemon to benefit your pH balance. Keep It Dry: Yeast thrives in wet, warm places, so be sure to disinfect your bathroom on a regular basis and clean your air filters. Wash Fruits & Veggies Well: Because mold spores are present on the outside of fruits and vegetables, it’s important to wash them well. Check out our homemade fruit and vegetable wash recipes. Avoid Mycotoxins: Some crops—like grains and peanuts— are contaminated with mycotoxins (fungal toxins). While you will be eliminating grains initially during the cleanse, keep this in mind when you’re ready to reintroduce them. As for peanuts, choose those grown in the dry arid climate of New Mexico and other parts of the Southwest which are less susceptible to cancer-causing mycotoxin called aflatoxin (We like MaraNatha organic peanut butter– each batch is tested for aflatoxin contamination).